It’s been a hell of a year for Max Pain & the Groovies. Since winning the band component of the 2012 City Weekly Music Awards, they’ve played a nationwide tour, welcomed new bassist Jordan Deveraux, gotten a clothing sponsorship from Coalatree Organics, and brought their bluesy psych-rock sound to South by Southwest in Austin, Texas, earlier this month, in a brand-new tour bus. City Weekly caught up with the Salt Lake City-based five-piece to talk about their recent accomplishments, what’s in store for the band and what it was like being a part of the City Weekly Music Awards. This yearlong wild ride started at the CWMA showcase in February 2012 at The Complex, where the band shared a stage with The 321s and Palace of Buddies. The energetic, rollicking performance “was one of our funnest shows,” says vocalist David Johnson. Plenty of local support helped Max Pain & the Groovies earn the winning spot. “All the love from Salt Lake is so cool,” says guitarist Shane Preece. That’s what [the CWMAs] made me think, like … how great the Salt Lake music scene is.” They scored the most total online and in-person votes to earn the win. Shortly after Max Pain & the Groovies’ CWMA victory, it was off to the Treefort Music Fest in Boise, Idaho, in March. During the summer, in June and July, they embarked on a whirlwind nationwide tour that took them to the Midwest, down the East Coast—including Maryland’s Farm Fest and the CBGB Festival in New York City—and through the South. 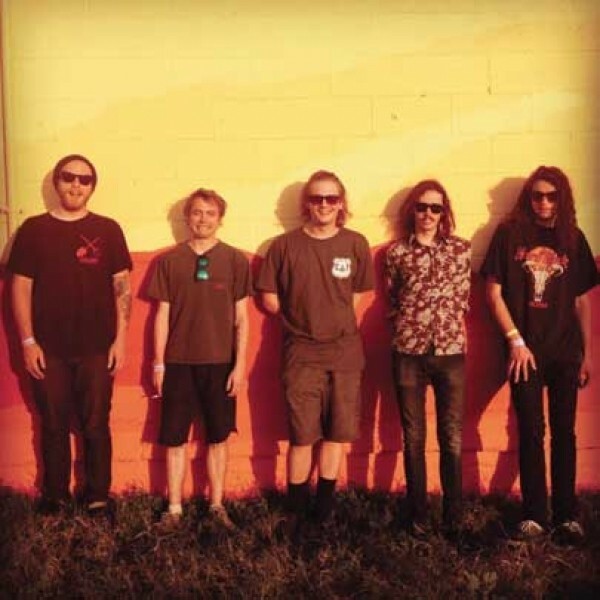 Fast-forward to March 2013, and Max Pain & the Groovies are back from their first SXSW stint, which Coughlin says “was definitely an awesome experience. We plan on going every year.” The Groovies played Mock Records’ Southern Uproar showcase with The Spyrals, Cab 20 and others, and also played with fellow psychedelia conjurers The Warlocks at a party put on by Psychedelic Light & Sound. A drive to continually improve as musicians keeps this hard-working band moving forward. In April, Max Pain & the Groovies plan to travel to Los Angeles to record a full-length record, which they hope to release in May on vinyl. The band members agree that this upcoming album will be considered their “debut,” although they released a great local LP, Tortilla Gold, in late 2011. Check out the CWMA band and DJ showcases April 17-27. Visit CityWeekly.net/CWMA for complete event info. Thursday, March 28, 9 p.m.